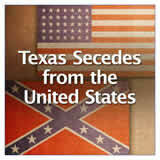 Students learn that Texas seceded from the United States in 1861. 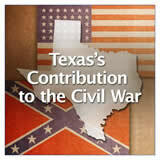 They identify feelings that different Texans had about secession, and they read and watch a video about Sam Houston's role in the situation. 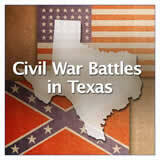 In this experience, students learn that Texas seceded from the United States in 1861. They identify feelings that different Texans had about secession, and they read and watch a video about Sam Houston’s role in the situation. 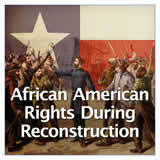 Describe how Texas made the decision to secede from the United States. 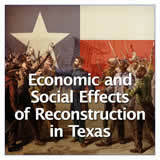 Compare and contrast Texans’ points of view about secession. 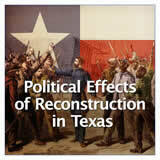 Identify Sam Houston’s role in Texas’s secession. 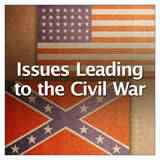 Abraham Lincoln was elected president in 1860. 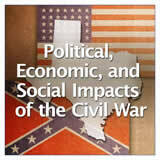 The Confederate states were angry because they knew that Lincoln wanted to abolish slavery. 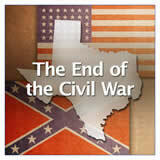 They felt they only had one choice: to secede from the United States. Make a prediction about what the different colors of the above map represent. 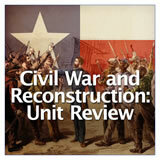 The Complete List of Learning Experiences in Civil War and Reconstruction Unit.